Why do you want to ‘do’ ITIL? What problems are you trying to solve? 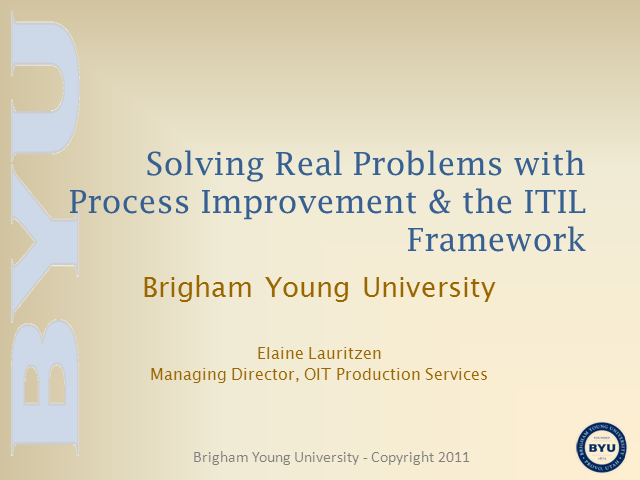 Too often IT groups don’t think through these questions before jumping into an ITIL effort. This session will show how spending just a little bit of time to address those questions at the beginning of a process improvement effort will make all the difference between success and futility.